The Klondike Gold Rush (1897-1899) was an epic journey, to an uncharted land in search of adventure and opportunity in the continent’s final frontier. It seared the word “Klondike” into the collective consciousness of a generation. That is the way it was then, and people still seek to follow the steps of the Klondike stampeders to this very day. Digging by hand deep into the frozen gravels of creeks named Bonanza and Eldorado, miners uncovered gold in quantities that could not be imagined. Bearded dirty men in tattered clothes were transformed into millionaires by the chance turn of a shovel. 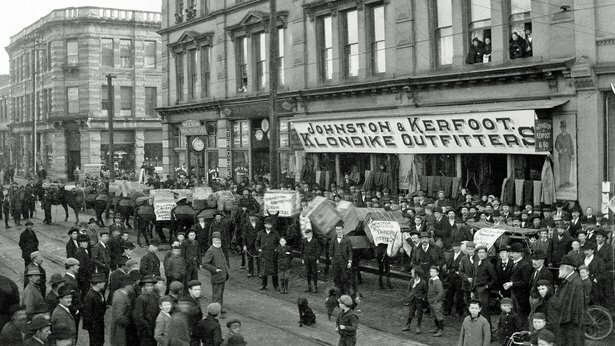 News accounts of men and women from the Klondike, dressed in tatters, disembarking from ships in San Francisco and Seattle carrying gold in bags, satchels, and even wrapped up in blankets, sparked a mania that the world found irresistible. It was called “Klondicitis." 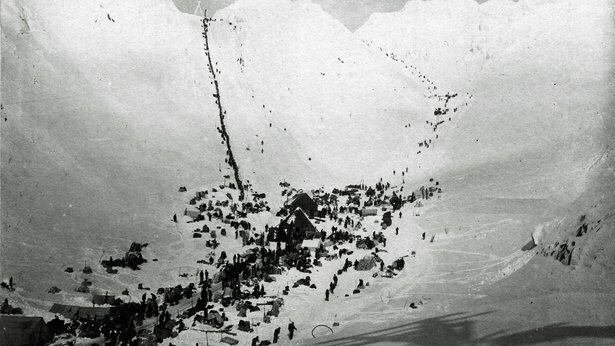 Overnight, tens of thousands embarked on an epic journey to the Klondike. Overnight, Klondike became a common part of everyone’s vocabulary. If they weren’t going to the Klondike, people were thinking about it, and if they weren’t thinking of going, they talked about it. A fully loaded scow headed to the Klondike, 1900.City of Vancouver Archives The men and women who ventured forth to the coastal posts of departure like Seattle, San Francisco, Victoria and Vancouver, had no idea of the challenges that lay before them. 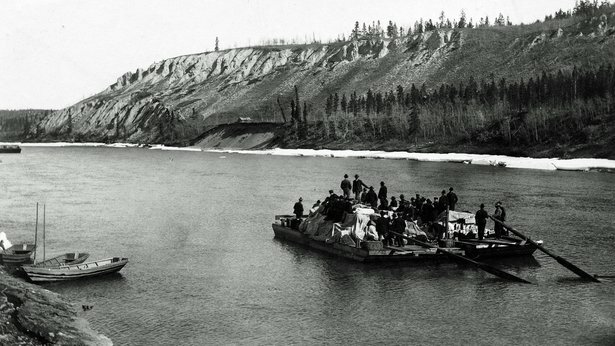 Anticipating chaos and starvation, the North West Mounted Police had issued a decree that made a year’s supply of tools and provisions mandatory for anyone venturing into the Canadian Yukon. Once they had secured their ton of supplies, the Cheechakos (the term used to describe newcomers to the north) had to book passage on any one of dozens of obsolete rust buckets put back into service to meet the sudden demand. They risked riptides, reefs, violent storms and incompetent crews during the hazardous thousand-mile journey up the Pacific coast. They hauled their outfits over snow-bound trails and labored over high mountain passes, the most famous being the Chilkoot. Images of the human chain laboring up the steps chiseled out of the ice of a gravity-defying climb through a tiny cleft in the coastal mountains became one of the iconic images marking the gold rush. Men risked avalanche, exhaustion, injury, scurvy and depletion of the soul in their frantic compulsion to reach the Klondike. Having crested the Chilkoot Pass two dozen times or more to transfer their ton of supplies to the summit, the stampeders then proceeded to Bennett Lake, British Columbia, where they had to cut and haul timber, and then mill it into lumber with which to build their boats. 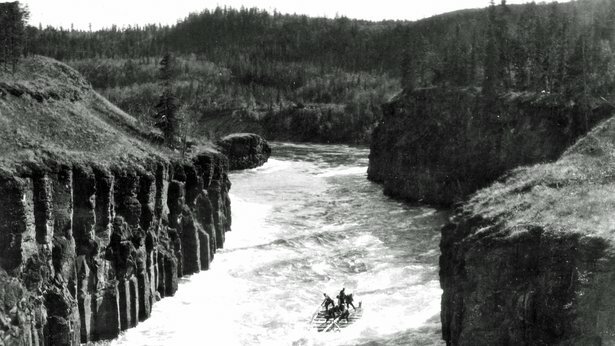 When spring broke, they navigated 600 miles of lakes, rivers, canyons and white water to attain their goal. Friends were made and lost. Character was built and spirits broken. For most, having reached the Klondike was accomplishment enough; many never bothered to look for gold or stake a claim. As much as the quest for gold, the Klondike Gold Rush symbolized the fulfillment of a dream, for adventure, discovery and fortune. Although thousands returned with empty pockets, having endured extreme hardship, they came home spiritually enriched. They learned “... to better separate the good from the bad, the essential from the non-essential, and to recognize the real blessings and comforts of civilization.” Forever after, they lived their lives as though they were scaling a perpetual Chilkoot. 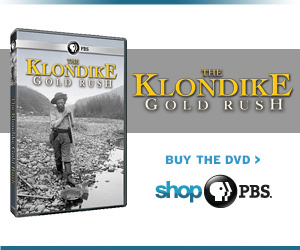 The Klondike Gold Rush was the focus of more media attention than any other gold rush in history. Add to this the advent of the portable camera, and the Klondike was the most heavily documented gold rush ever. Around the world, readers were hungry for news of the Klondike; the newspapers and magazines of the day met the demand with a constant stream of reports, dispatches, articles, letters and photographs direct from the Klondike. Publishers met the demand by producing maps, brochures, pamphlets and guide books. Hordes of journalists converged upon the Klondike. Flora Shaw of the London Times, one of Britain’s most highly regarded journalists, was there. Arthur Newton Christian Treadgold was there, writing for Britain’s Mining Journal and the Manchester Guardian, and Alice Freeman, writing under the pseudonym Faith Fenton, prepared articles for the Toronto Globe. Other articles appeared in The Illustrated London News, Scribner’s and The Century. Joaquin Miller, the famed “Poet of the Sierras,” was there to send out first-hand accounts. Tappen Adney taken at Seattle just before leaving for Cape Nome, 1900.Carleton Co. Hist. Society Of all the journalists who covered the Klondike Gold Rush, the words of E. Tappan Adney, writing for Harper’s Weekly, have endured the century. 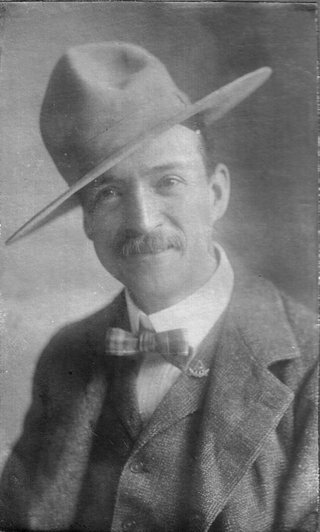 Adney, was born in Athens, Ohio in 1868, the son of a university professor. A precocious youth, he entered university at age 13, was reading classical literature in the original Greek and Latin at 15, and had graduated from art school in New York by 18. Adney had a brilliant mind, and a wide variety of interests. He combined his fascinations with birds and his artistic talent to produce 110 line drawings for The Handbook of the Birds of Eastern North America. He mastered the Maliseet language of New Brunswick, became the world authority on the topic of birch bark canoes and was Canada’s foremost authority on heraldry. He was widely respected by cultural anthropologists and linguists of his time, even publishing an account of a hunting trip he took with the First Nation people of the Klondike at the height of the gold rush. Adney was a writer and illustrator for Harper’s Weekly when the gold rush occurred, and it was his assignment to follow the most unusual mass migration of the 19th Century, and chronicle the event for Harper’s readers. Combining his journalistic eye for detail and human interest with his skill for writing, he produced the most powerful first-hand account of the gold rush. His book, The Klondike Stampede, is a classic that remains in print today. The perceptive observations, colorful descriptions, photos, illustrations and gripping narrative of his trip to the Klondike, resonate with contemporary readers as they did with those of a century ago. Michael Gates was Curator of Collections for the Klondike National Historic Sites in Dawson City, Yukon for 20 years He is the author of three books on Yukon history and writes the popular weekly History Hunter column for the Yukon News.